Air University Islamabad has invited applications from desirous Intermediate students those who want to study at Air University. 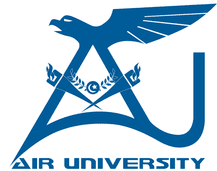 Air University is a Semi government University established in 2002 under the umbrella of Pakistan Air Force. Air University has two campuses; the main campus is located in Islamabad whereas the sub-campus is located in Multan. The University also has a constituent Medical College. The programs of the are accredited by Pakistan Engineering Council (PEC), National Business Accreditation Council and National Computing Accreditation Council respectively. The University aims to provide high-quality education, research, and training. *New Programs that are being offered in Fall 2019. Minimum 60% marks in Intermediate / HSSC or equivalent with Physics, Mathematics / Biology (Only for Biomedical), and Chemistry as Major Subjects. Minimum 50% marks in Intermediate / HSSC or equivalent with Physics, Mathematics, and Chemistry / Computer as Major Subjects. Minimum 50% marks in Intermediate / HSSC or equivalent with any combination of Subjects. Minimum 50% marks in Intermediate / HSSC or equivalent with a combination of that Science Subject. Note: Candidates appearing in HSSC-II exams are eligible to apply. Eligible candidates can apply from the link given below. Once the link is opened signup for a new user account. Fill the details after logging in to your account. Choose the program carefully but you can also manage your preferences after the 2nd Test.